Organization Name: Satara District Central Cooperative Bank Ltd. Pass in 10th standard (SSLC)/ any Degree from a recognized institute. Check official notification for post wise qualification. Check official notification for post wise age limit and age relaxation. Interested and eligible candidates should be selected based on the below criteria. 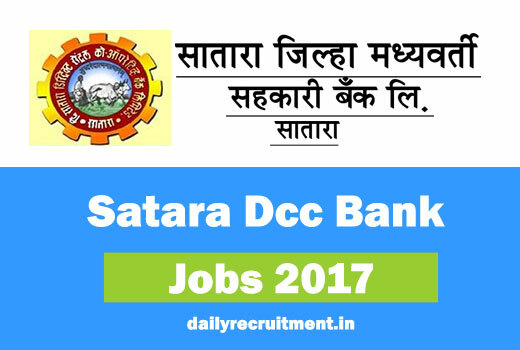 How to Apply Satara DCC Bank Vacancy in online ? Go to official website http://recruit2017.sataradccb.com/. Read the advertisement carefully and check whether you are eligible. Generate a challan and pay the application fee. Have a copy of online application and challan for future use. How to fill the form offline? What is the next date of filling of application form? what is exam date of peon. what is syllabus of peon.